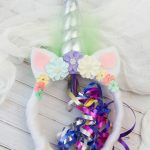 Are your kids obsessed with unicorns? 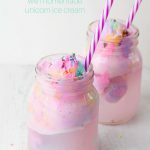 They are literally everywhere I look – even Starbucks – and now I have a friend planning the mother of all Unicorn Parties (she’s even hiring ponies dressed as unicorns for the afternoon) so Ella and I are having a lot of fun coming up with some easy Unicorn Recipes to help make party planning a little bit easier. 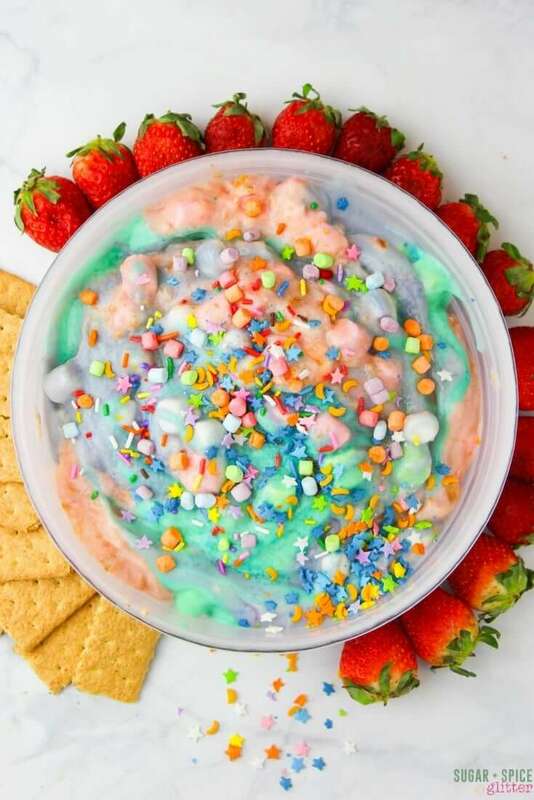 This dip is creamy and light, with a marshmallow-vanilla flavor that works perfectly with fruit or graham crackers. 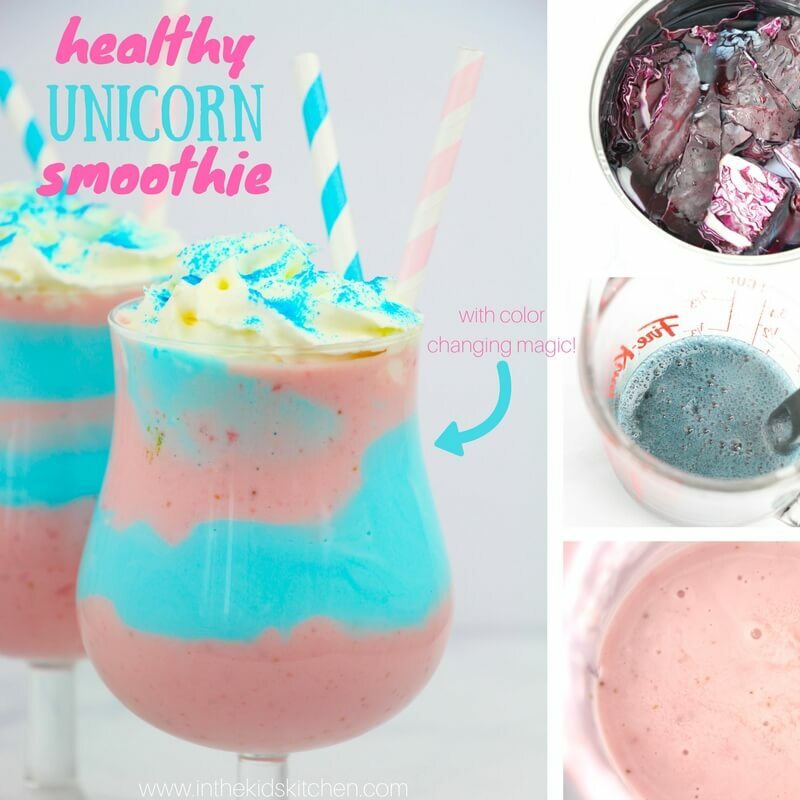 If you’re looking for something dye-free, check out our healthy Unicorn Smoothie recipe – because this recipe I’m about to share is about as natural as unicorns themselves. 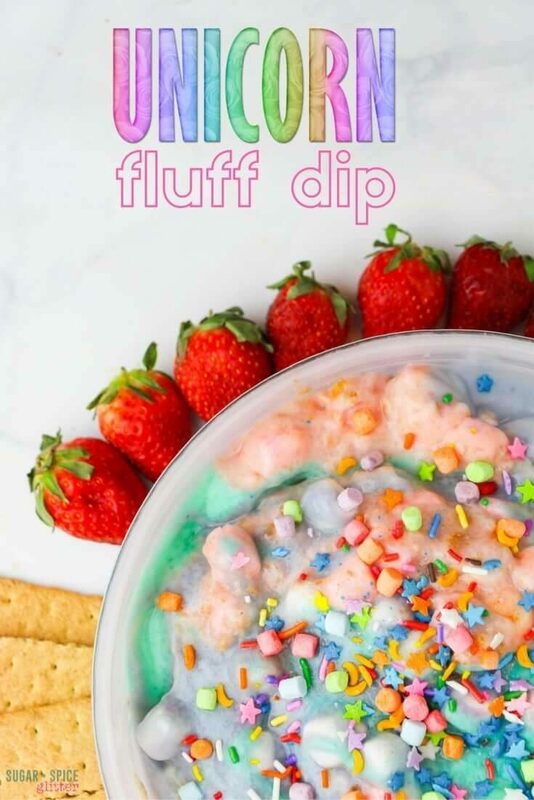 You can customize this recipe in a lot of different ways – changing up the colors and sprinkles to make a Ninja Turtles dip (camo colors with orange, red, purple and blue sprinkles), Shopkins dip, princess dip (mimic the colors of your favorite princess), or just a rainbow dip! 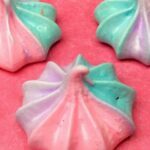 This is the perfect easy yet magical dessert for a sleepover, party or playdate. 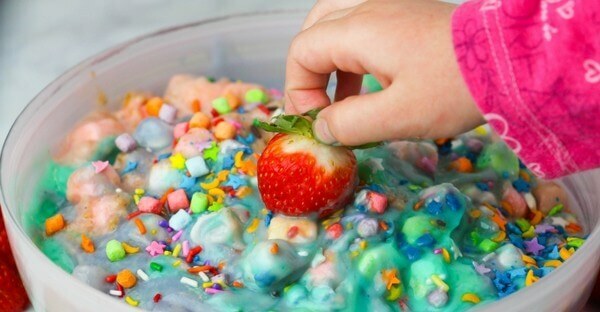 Making the dip can even be a party activity. 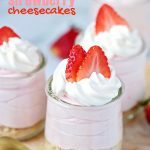 Now, Ella and I disagree on one thing – I loved crumbling up a few graham crackers and stirring it into the dip and well, she thought that was just plain wrong. Serving graham crackers on the side was a easy compromise. 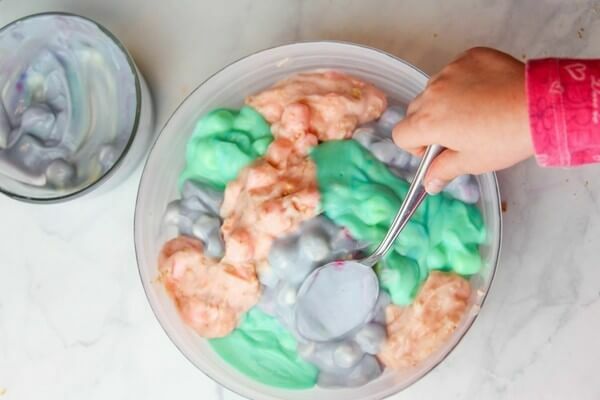 Tip: we used the colored “fruit flavored” marshmallows to enhance the color of our dip. 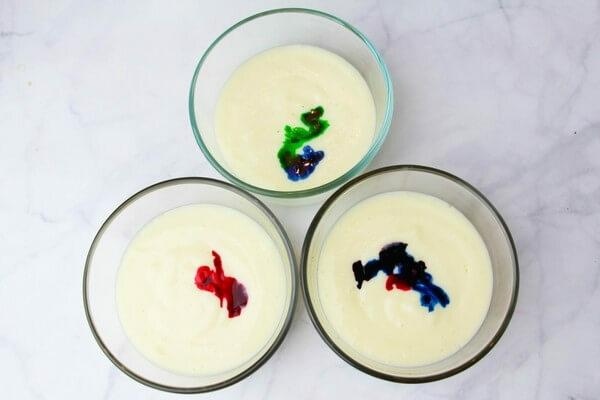 Whip the vanilla pudding mix with milk for 2 minutes until thick. 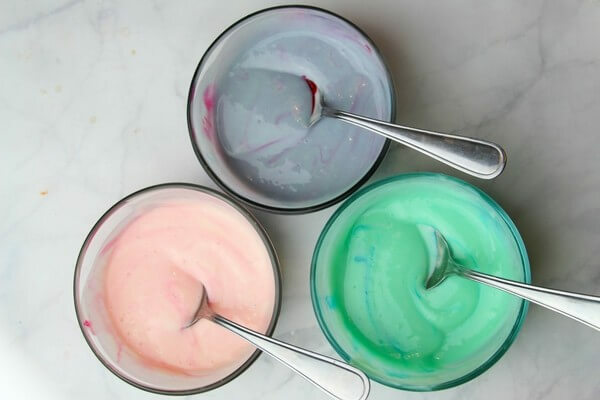 Divide the pudding into 3 bowls and add red food dye to one, red and blue to a second, and blue and yellow to the third. Stir and adjust the coloring to your desired final color. 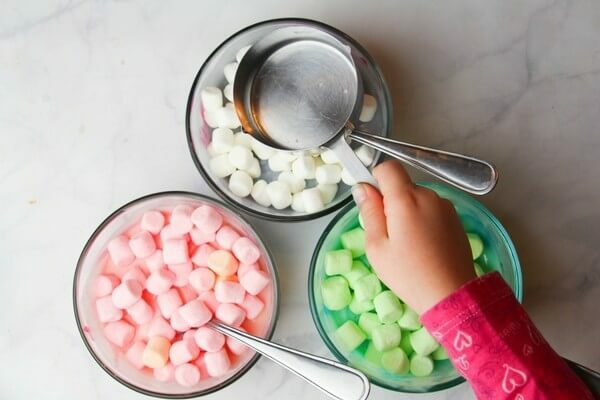 Divide up your marshmallows to match the pudding mixes. 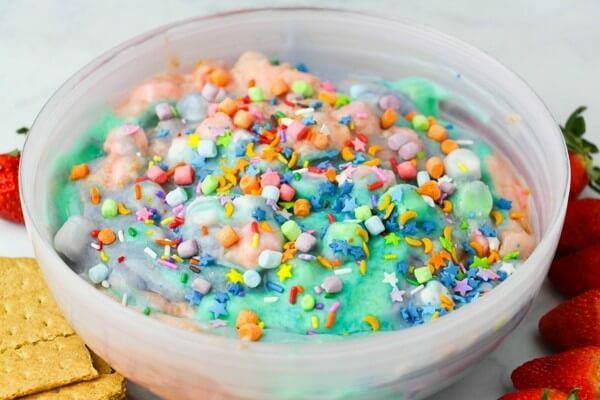 Stir in the crushed graham crackers (if using) and mini marshmallows. Spoon the three colors of dip into your serving bowl. You can do this randomly, layered or with a pattern. Do what looks best to you. 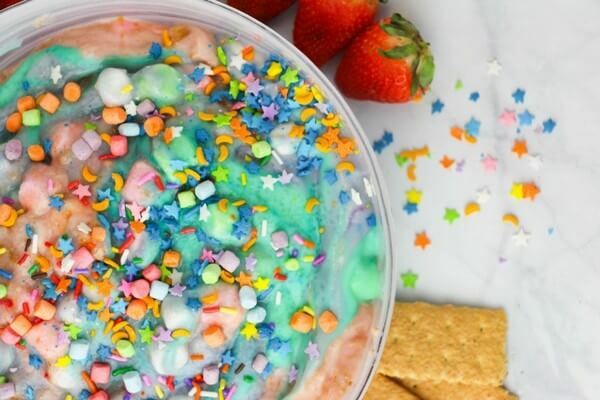 Sprinkle with copious amounts of unicorn-inspired sprinkles and serve with your choice of dippables – cookies, fruit, etc. 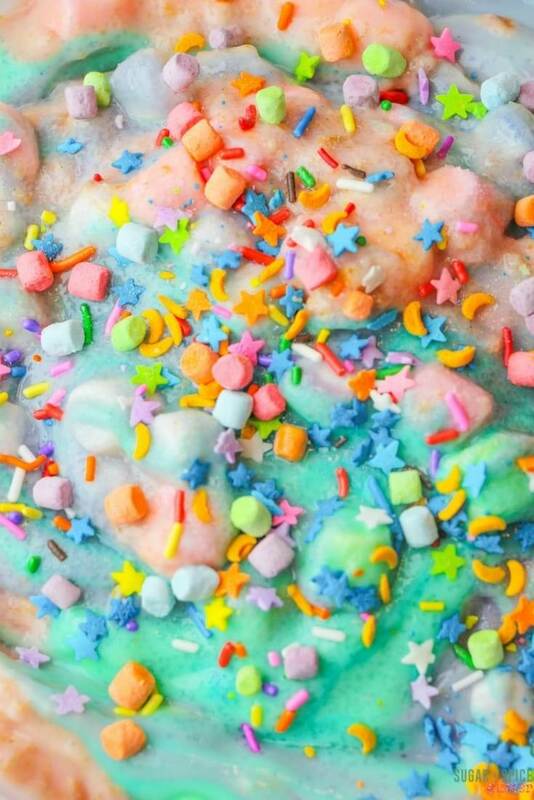 Sprinkle with copious amounts of unicorn-inspired sprinkles and serve with your choice of dippables - cookies, fruit, etc. 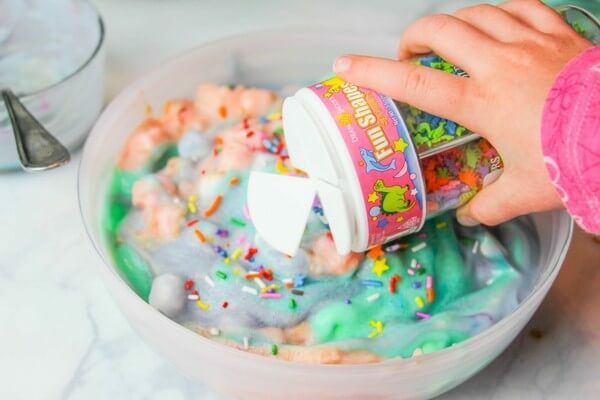 Are your kids obsessed with unicorns? 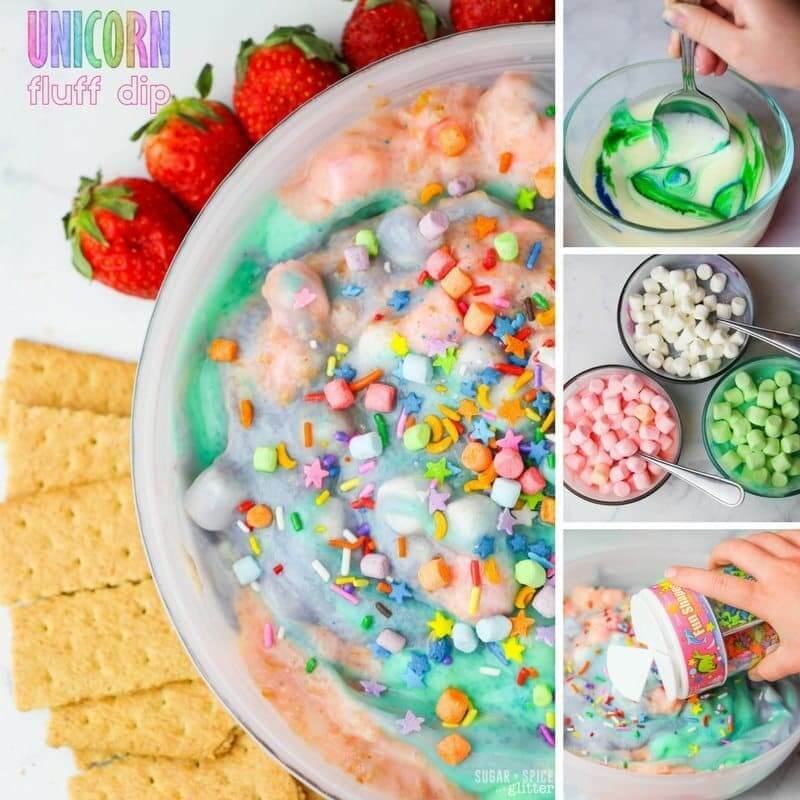 What fun unicorn activities or recipes have you tried? 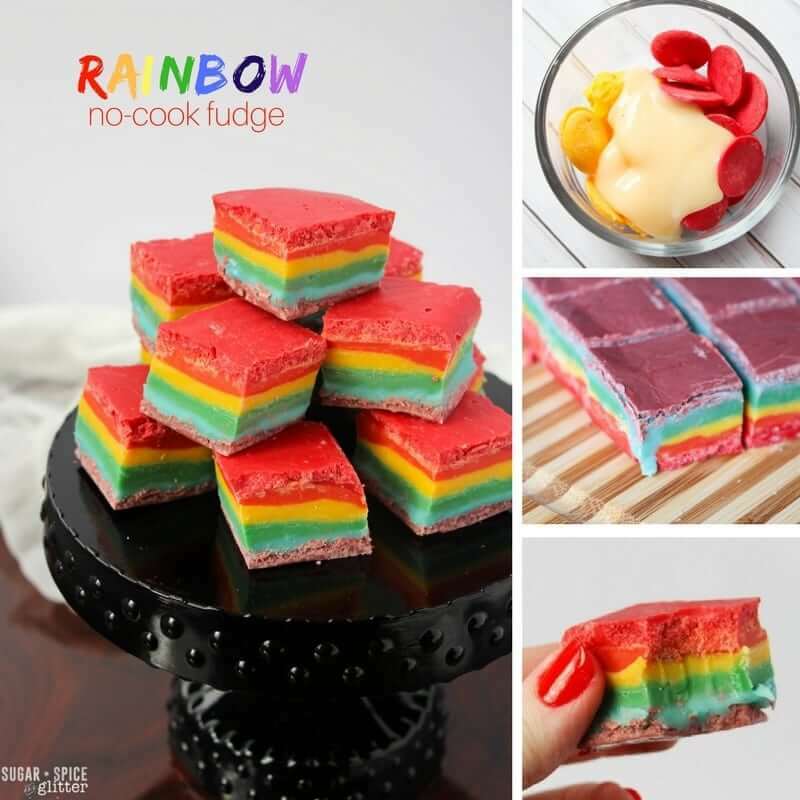 If you liked this fun and colorful recipe, check out some of our other delicious unicorn recipes, such as our Healthy Unicorn Smoothie or our no-cook rainbow fudge recipe.